This creamy lemon potato bisque is the perfect mix of Winter and Spring --- both in color and in taste. And it's anything but boring. 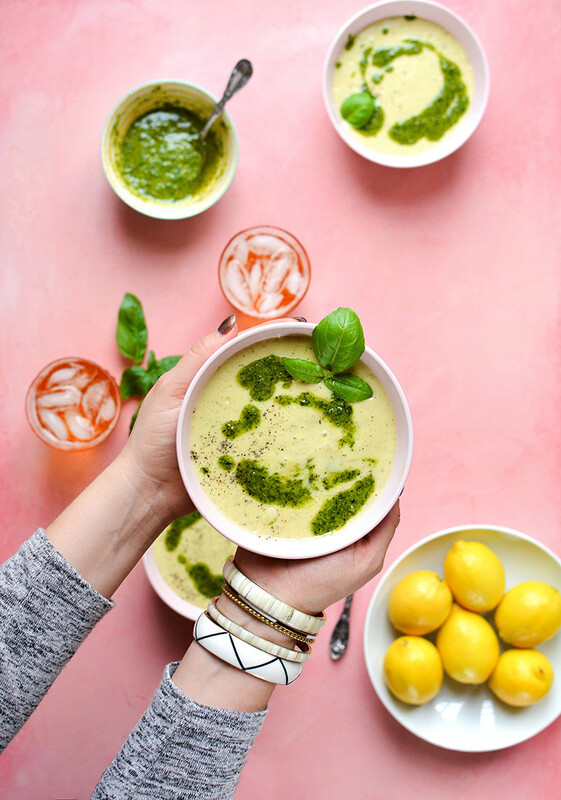 It gets its creaminess from the Silk Protein nut milk and roasted potatoes, zucchini, and carrots (white + yellow, to give it its golden color)... and the carrot top pesto gives it that oomph to take it to next-level-awesome. Often when you buy fresh, organic carrots, they come with the stems and greenery still attached. Most of us just chop it off and throw it away. But, did you know you can eat it? 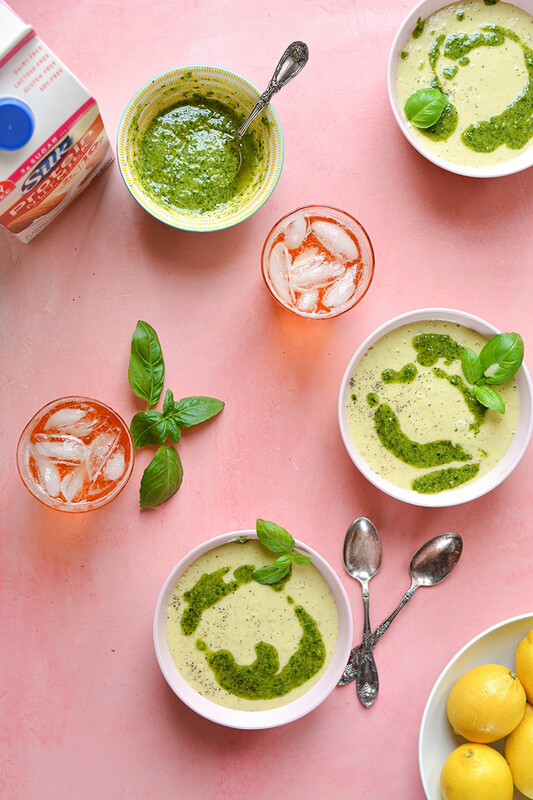 It's especially good in pesto form! 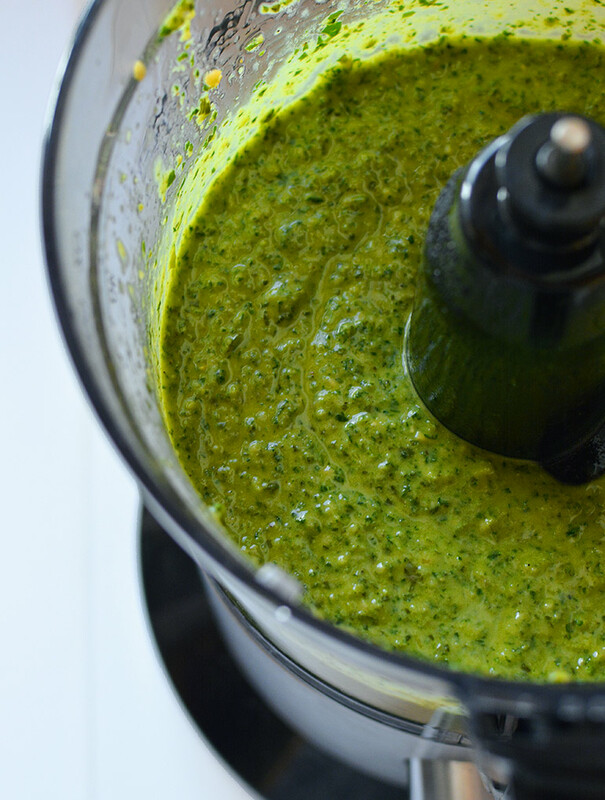 And once you give it a whirl in the food processor, this carrot top pesto is the perfect adornment / swirl in potato soup. Or on pizza. Or by the spoonful (no judging!). 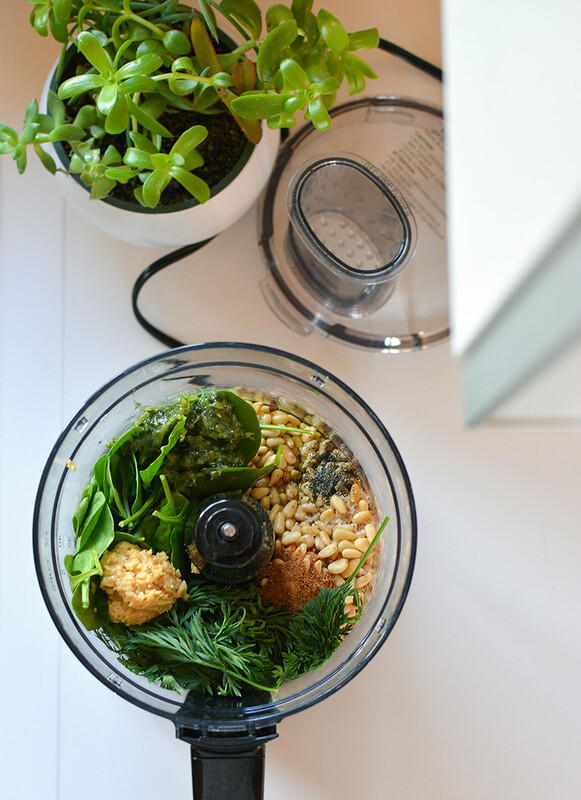 First a confession: I kind of made this vegan pesto by accident one time --- because I was out of Parmesan --- but what I discovered is that it's JUST AS GOOD, if not better. And I've been making it this way ever since. And same goes for the soup. You can totally make a creamy bisque without cream. You just need a a good creamy nut milk, like Silk's Protein Nut Milk as the base and a combination of pureed roasted veggies (like potato + zucchini + white and yellow carrots). Regular orange carrots would work fine too... but it would definitely change the color of the soup! 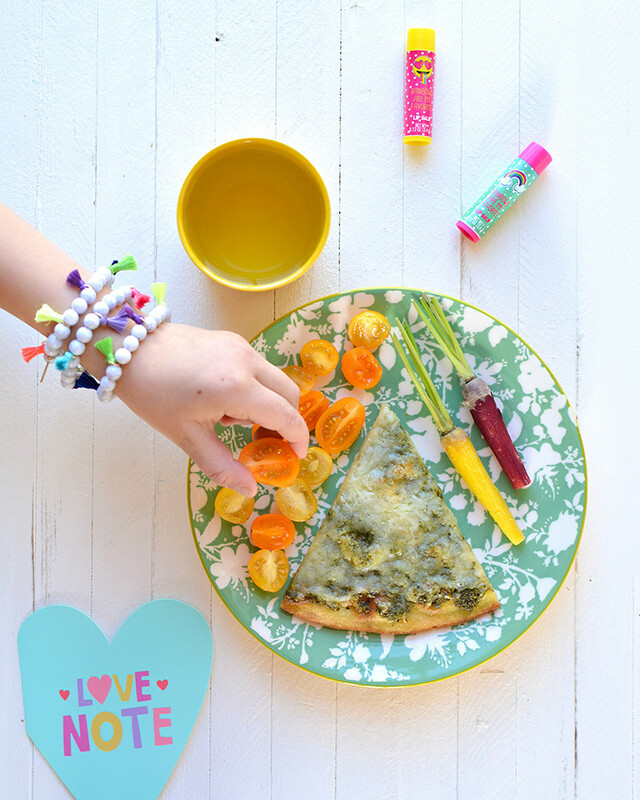 Then swirl in the pesto for ultimate fabulousness! 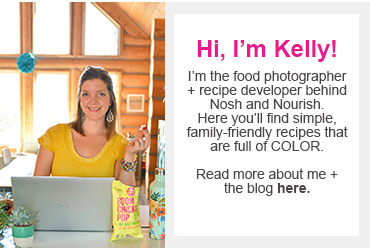 You may have seen over on Instagram, I'm starting something new with the blog called #NourishedLikeMom --- basically making a kid version of each of my recipes to show you how easy it is to transform my family-friendly recipes into actual kid's lunches (or breakfasts!). You can see more here, here, and here. 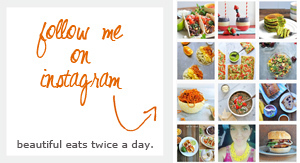 Be sure to sign up for Silk's email newsletter to get coupons and more delicious recipe ideas!